Adam Smith wrote in his 1776 book, The Wealth of Nations, that the "propensity to truck, barter and exchange one thing for another is common to all men.” And indeed, this must be extended to today’s First Nations—where achieving a higher standard for these communities is a priority for Canadian policymakers. The best way to learn what works in that direction is to study the experts—those First Nations who are succeeding in doing just that. With indispensable help from younger researchers, I have studied First Nations’ success for the last six years, using the statistical tools of social science. The results show that Adam Smith was right. The wealth of First Nations, like the wealth of all nations, is generated by the invisible hand of market exchange, not by the all-too-visible hand of government regulations and subsidies. First Nations who improve their standard of living can be identified by high scores on the Community Well-Being (CWB) Index, which aggregates Statistics Canada data on income, employment, housing, and education for all Canadian communities. Correlational analysis can show what is associated with higher CWB scores. In a nutshell, the making and trading of the marketplace, but not the taking encouraged by politics, is associated with higher CWB scores. Correlation is not causation, but it is still useful. People who don’t smoke, eat sensibly, control their weight, and manage stress have fewer heart attacks and strokes, even if the exact mechanisms are unknown. We may not follow the advice all the time, but we know it’s good advice for longer life expectancy. In the same way, the success of First Nations shows what is associated with a higher standard of living. Statistical analysis is just a way of tabulating their discoveries and achievements. First Nations with higher CWB scores usually have long-term stable leadership. They reward chief and council adequately but not excessively. They balance their budgets, pay their bills on time, and avoid deficits. They exercise practical self-determination by utilizing “off ramps” from the Indian Act to collect their own taxes and manage their own lands. In contrast, substituting custom governance for the Indian Act model is not statistically associated with higher well-being. It’s important to know what doesn’t work, as well as what does work. Greater use of Certificates of Possession, the strongest form of individual property available under the Indian Act, is associated with higher CWB scores, particularly the housing component. But leasing of band land to generate own-source revenue is also a crucial factor in achieving prosperity. 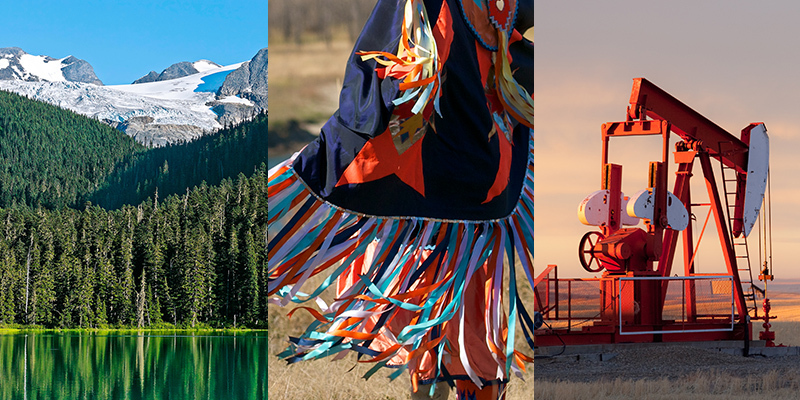 Through both individual and collective mechanisms, high-scoring First Nations take advantage of economic opportunities, such as tourism and hospitality, residential and commercial real estate development, and natural resource plays. Each high-scoring First Nation has a unique profile drawing from these legal, political and economic factors. In comparison, transfers achieved by political and judicial activism show little or no association with higher CWB scores. Federal spending on Indigenous people has grown exponentially over the last 70 years, but First Nations’ CWB has not improved in proportion to that growth in spending. Rather, the increase of First Nations’ CWB parallels the CWB increase of other Canadian communities. The Canadian economy, not government spending, is the tide that lifts all boats. Specific claims have resulted in the transfer of almost $6 billion stemming from disputes over the implementation of treaty or Indian Act provisions, but First Nations receiving these settlements do not show higher CWB scores than those without them. In Saskatchewan, large amounts of land have been added to Indian reserves in the name of treaty land entitlement, based on arguments that reserves were smaller than they should have been. Yet these transfers have had no discernible impact on CWB scores except for a small number of entrepreneurial First Nations that have used their new lands to create urban reserves and enter the business world. Without making and trading in the market, attempts to rectify the past do not produce higher living standards in the future. Legal rights have also been transferred; the most important example being the judicial creation of First Nations’ right to be consulted before authorizing natural resource development on traditional territory. Although confidentiality of these impact-benefit agreements precludes exact statistical analysis, some First Nations have obtained large payments as a result of consultation and have invested the proceeds with great success. However, dozens of First Nations have received little or nothing because political activists have used the duty to consult to block oil and gas pipelines. Consultation can be a powerful tool for First Nations wanting to obtain a higher standard of living by engaging in the Canadian economy; but it won’t realize its full potential until the law is reformed to prevent essential corridor developments from being blocked by political opponents. First Nations who want to improve their own economies are now organizing to achieve a better form of consultation. Adam Smith would applaud their efforts.